Boba Fett will help you find your way. These helpful lights certainly won't guide you down a path into a waiting trap so the Mandalorian can collect a bounty on you. Definitely not. 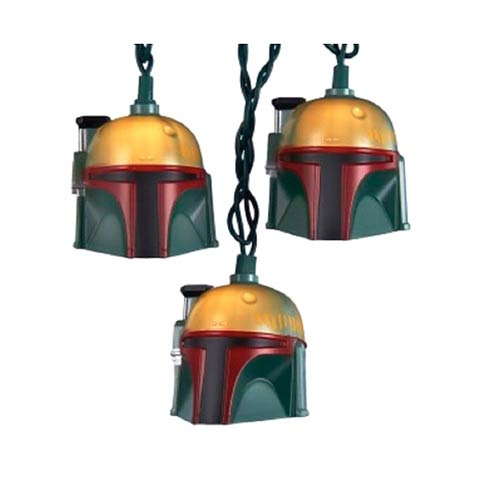 Find your way or decorate the office with this Star Wars Boba Fett Helmet Light Set, which include 10x lights on a green wire, 4 spare bulbs, and 1 spare fuse. For indoor and outdoor use 120V AC 60Hz. Ages 14 and up.